The first in-depth documentary about this burgeoning national movement, COUNT ME IN tells the compelling character-based stories of regular Chicagoans who are rolling up their sleeves to make an impact in their neighborhoods. 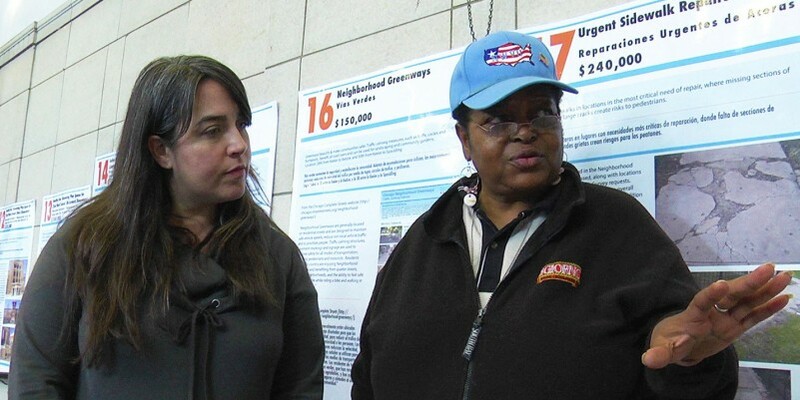 The film shows residents pitch ideas for street repairs, bike lanes, or community gardens. Projects get researched, proposals crafted, and at the end, the entire community is invited to vote. Among the participants featured are Shannon Dudley, a retired IRS agent and passionate gardener; Joann Williams, a feisty community leader; and Maria Hadden, who began as a volunteer, but now teaches people in other Chicago wards how to implement participatory budgeting. But COUNT ME IN doesn't paint an overly rosy picture: power-sharing happens slowly in Chicago -- city agencies are slow to warm to the process and only a handful of aldermen have been willing to try participatory budgeting, even though residents find it empowering and a great tool for community building.